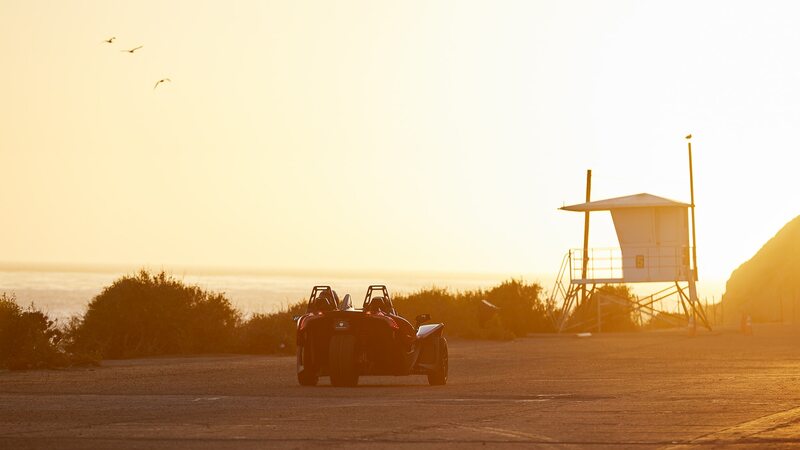 Fun on the open road, not so much in traffic. Amusement-park rides are thrilling because they give the illusion of great danger with little actual risk. 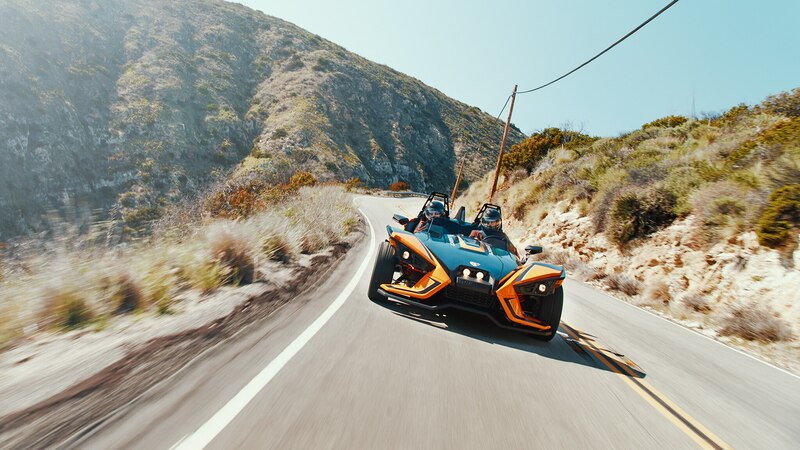 Driving the three-wheeled Polaris Slingshot around the busy roads of Los Angeles, I couldn’t decide if the danger I felt was imagined or impending—but it was certainly thrilling, that’s for sure. 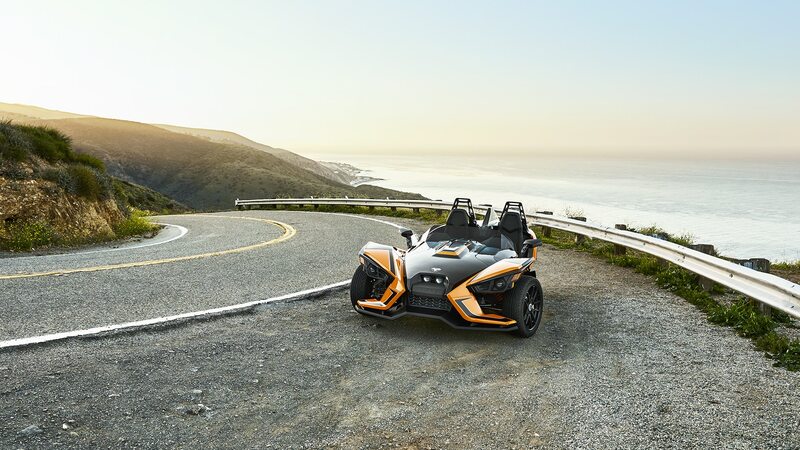 For those unfamiliar, the Polaris is a three-wheel “autocycle”—at least that’s the designation in most states—which exempts it in many places from most automotive safety standards, motorcycle-endorsement requirements, and helmet rules. 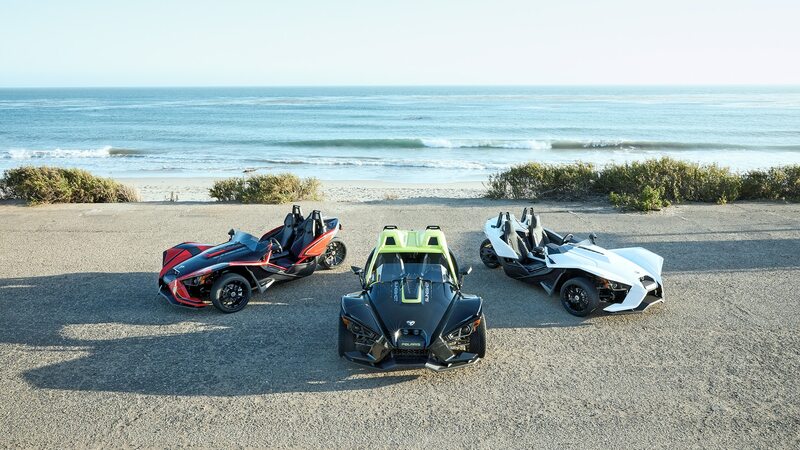 California is one of those states, but everyone at the office who drove the Slingshot wore a helmet anyway, the Slingshot’s seatbelts and rollover protection hoops notwithstanding. Polaris always recommends wearing a helmet no matter what the law says, and we agree. 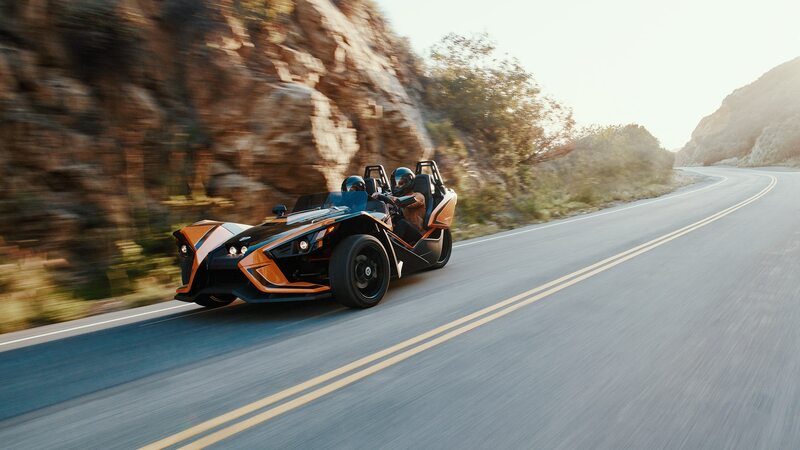 So as you’d expect, mechanically and architecturally the Slingshot is a mashup between a car and a motorcycle. 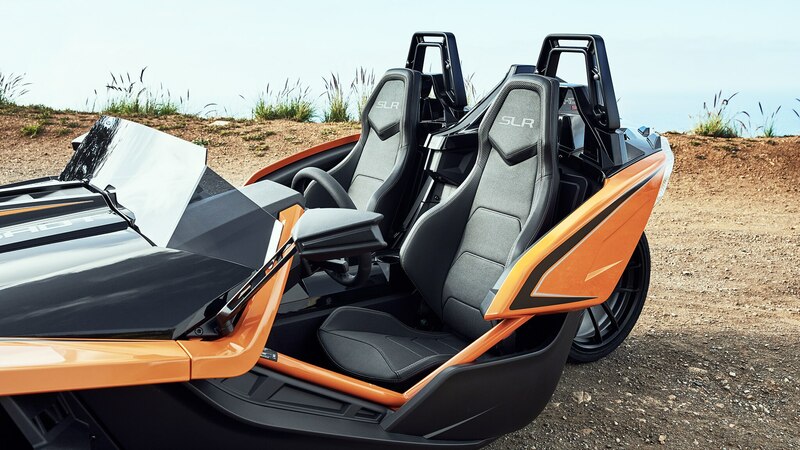 Up front, a General Motors–sourced 2.4-liter Ecotec four-cylinder engine sits longitudinally between wheels suspended via control arms, and it drives an Aisin five-speed manual transmission designed for car applications. (There is no automatic option.) From there, the driveline goes all motorcycle-y: A bevel gear transfers power to a belt that drives the single rear wheel, which is attached to a stout aluminum swing arm. The engine’s 173-hp rating may not sound like much, but it’s heady stuff in a vehicle barely half the weight of a Toyota Camry. 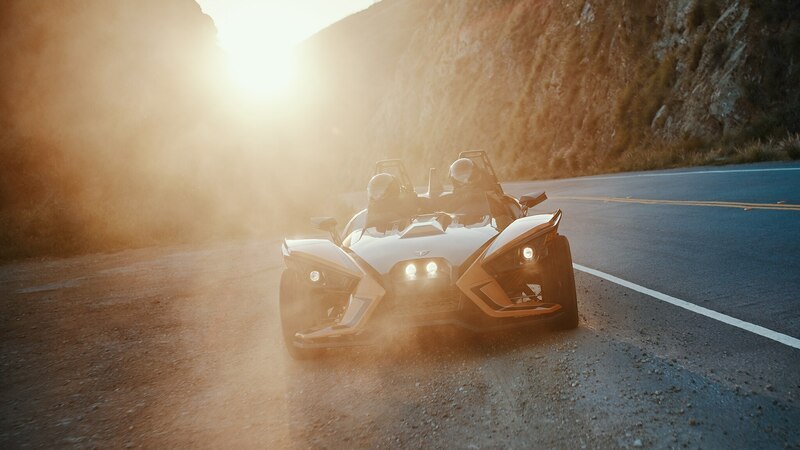 Acceleration comes with a raw immediacy, and the Slingshot will happily break its rear tire loose in first or second gear. One would expect riding so close to the ground to give an exaggerated sense of speed, but the opposite is true: 60 comes up in the blink of an eye, and feels like a gentle stroll. I cannot tell you how many times I glanced down at the speedo to find I was 15 or 20 above the limit—and this was on residential streets. Only pure luck kept me from getting a ticket, or perhaps some sympathetic cop didn’t want to ruin what he figured were my last days on Earth. 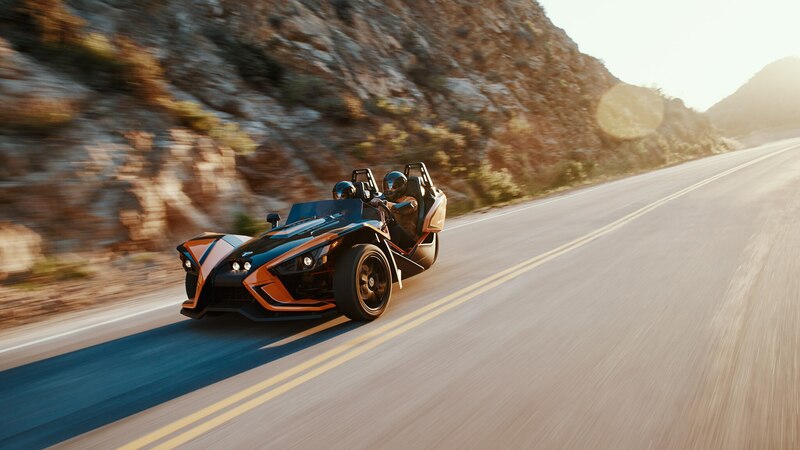 I approached the Slingshot’s handling limits with caution, imagining that once that single rear wheel breaks loose, there’s not much that’s going to bring it back. 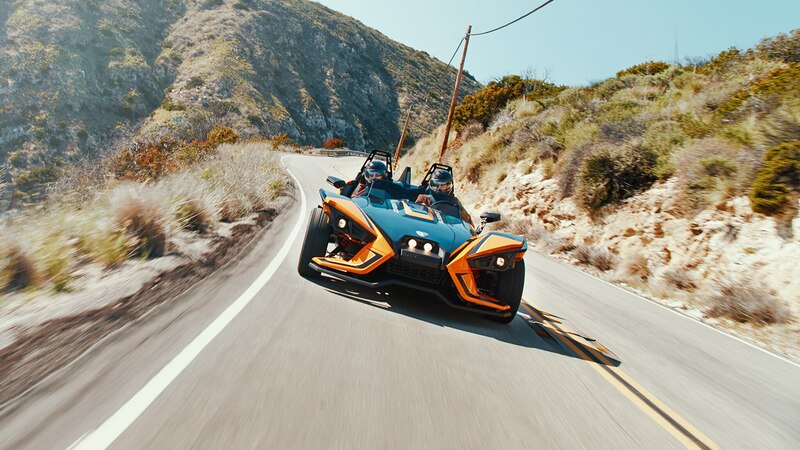 But the Slingshot is surprisingly tractable—it follows its intended path and doesn’t do anything too surprising. It responds to all of its controls with hyperactive urgency, and one must remember not to be too abrupt with one’s hands or feet unless you really mean it. 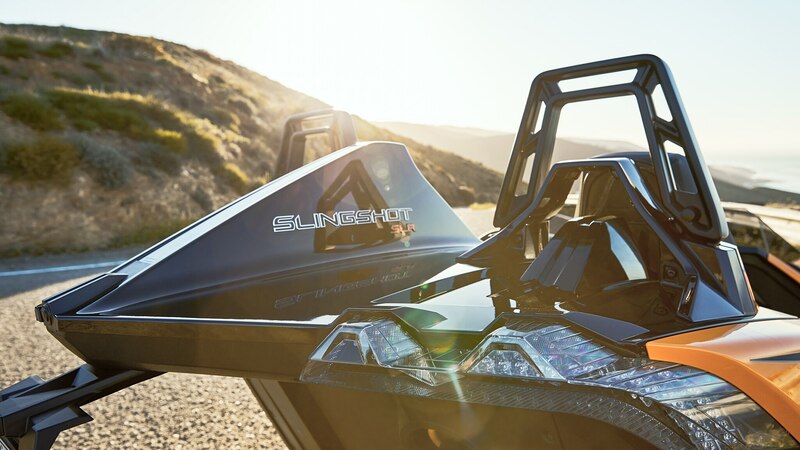 Once you’re used to its hair-trigger responsiveness, though, you can make some serious time in the Slingshot—and have some serious fun. 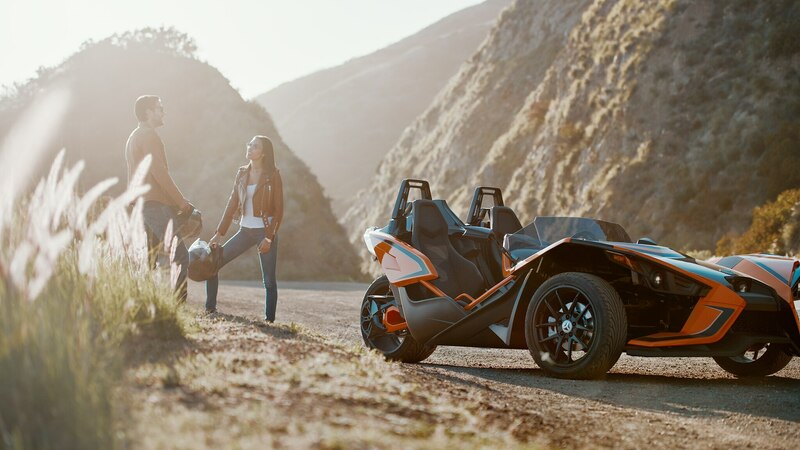 It’s the outdoorsy nature of the Slingshot that makes it so thrilling: You’re so close to the pavement that you can practically reach down and touch it, and the uninsulated chassis (remember, Polaris knows more about ATVs than they do about cars) gives you a sense of oneness with the machinery. 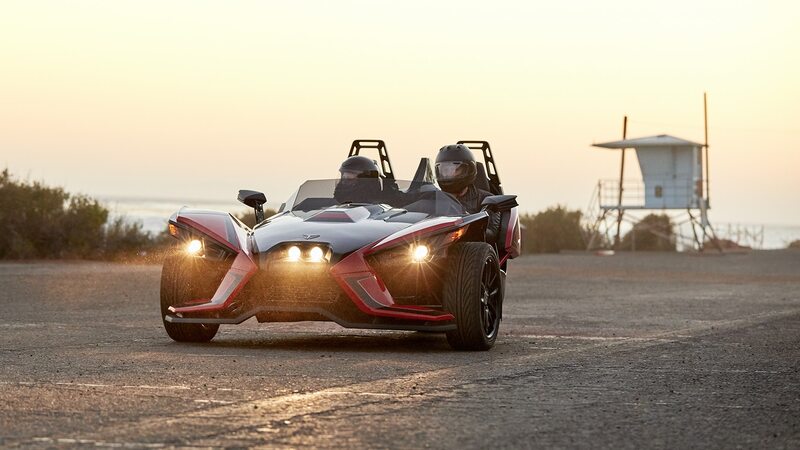 The Ecotec is a thrashy engine with a note as far from the sonorous song of Honda as it is possible to be, but in the context of the Slingshot, it’s fine. I came to understand how Henry Ford must have felt tooling around Detroit in his Quadricycle, although ol’ Hank wasn’t in danger of being taken out by a texting Prius driver. 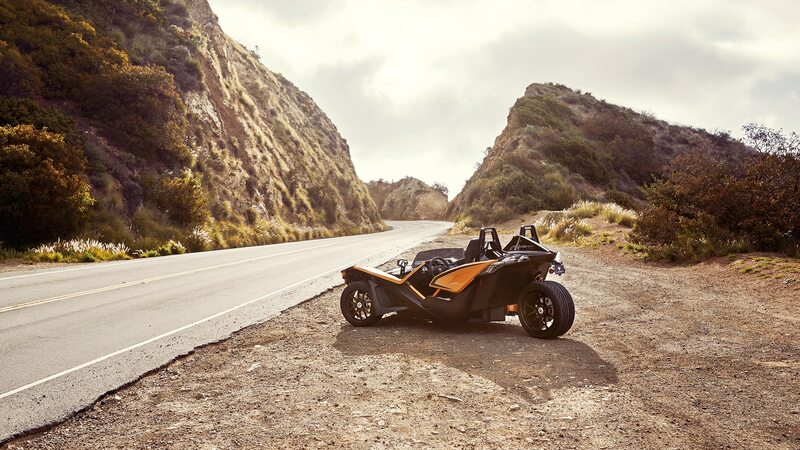 But driving around Los Angeles, or any other city, is hardly what the Slingshot is designed for. 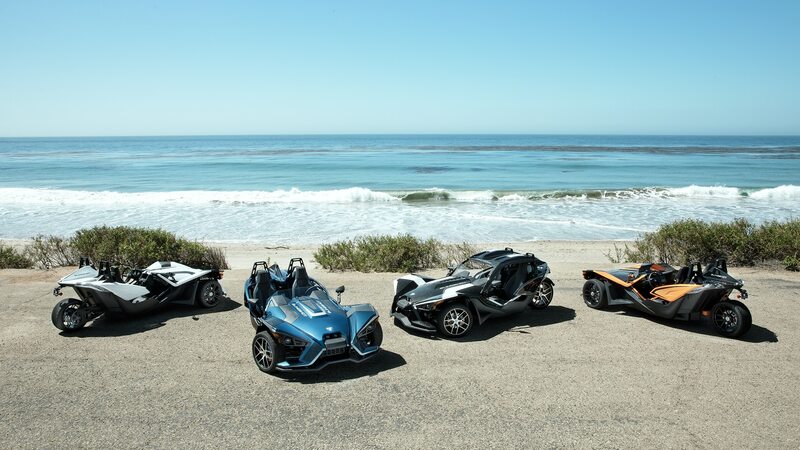 Nor is it particularly good at it: Small as it appears, the Polaris’s front end is nearly as wide as a Corvette’s, so its driver has to pass on gaps that a Honda Fit would have no problem squeezing into. 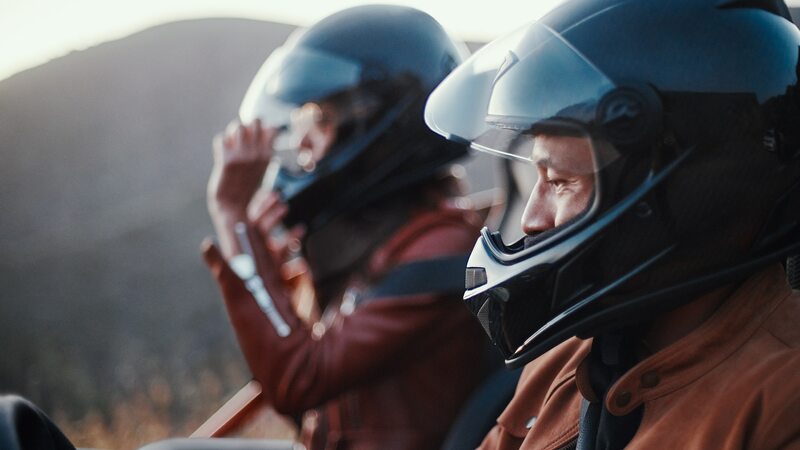 At anything over 70 mph, the wind tosses your helmeted head to and fro. 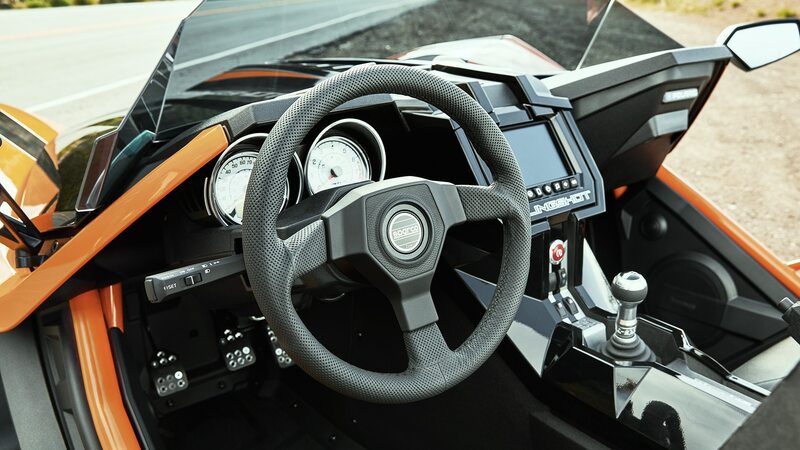 (Polaris does offer an optional taller windshield for $465.) It’s not even that economical—according to the trip computer, we saw mpg in the low to mid 20s. And there’s no place to put cargo except for some small bins behind the seats. But that’s not what the Slingshot is designed for. 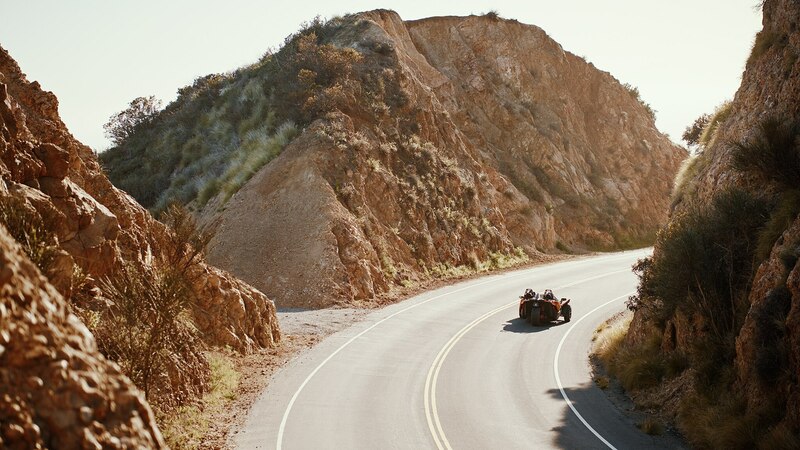 This is a vehicle for open roads, sunny skies, and lazy weekends. It’s not as thrilling as a motorcycle, but if you can’t or don’t want to ride, it gets you somewhat close to the experience. As a part-time endeavor, it’s a wonderful toy to keep in the garage. 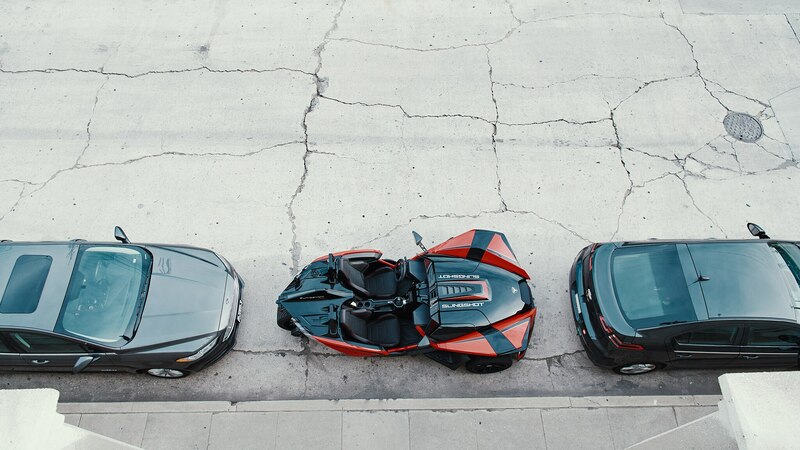 That said, it’s an expensive toy: Base models start at $21,000 and our SLR test model opens at $29,999. For that price, you could have a brand-new Mazda MX-5 Miata, which gives you the same basic thrills, plus a trunk, a roof, and adherence to federal motor-vehicle safety standards. Of course, the Miata doesn’t give you that same sense of danger, either real or implied. Is that a good thing? Shortly before the Slingshot left our care, a staffer who had taken the Slingshot home told us about a near miss on his way in. A Subaru pulled out of a gas station without looking and plowed directly into the side of a Kia immediately ahead of our man in the Slingshot. (The occupants were fine; both cars pulled back into the gas station for a post-crash huddle.) But had the Subaru pulled out a second later, it’s the Slingshot that would have been hit, and helmet or no, we might well have been telling a very different story. Me? I’ll take the Miata. But if thrills are what you’re after—and you acknowledge the risk—you can do worse than the Slingshot.